From The Light Car, May 28 1937. The Austin Seven - Part 1 The Design. From The Light Car, May 21 1937. 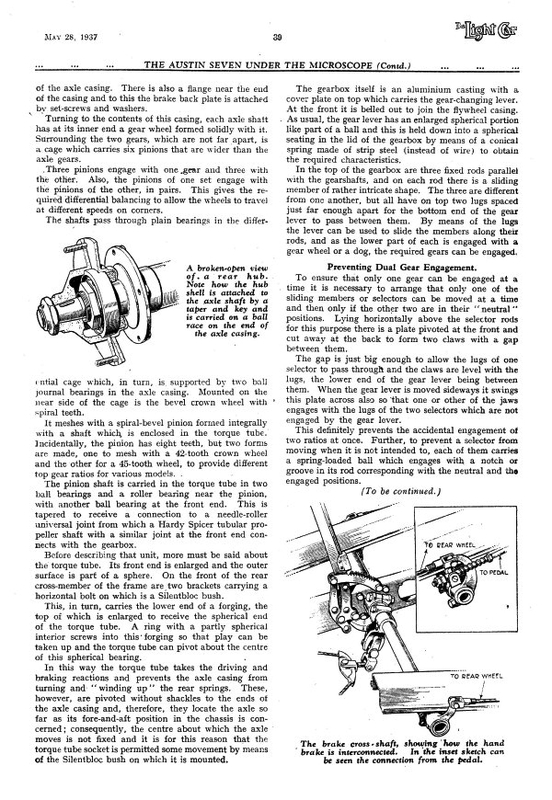 The Austin Seven - Part 3 The Synchromesh Gearbox and Single-plate Clutch. From The Light Car, June 4 1937. 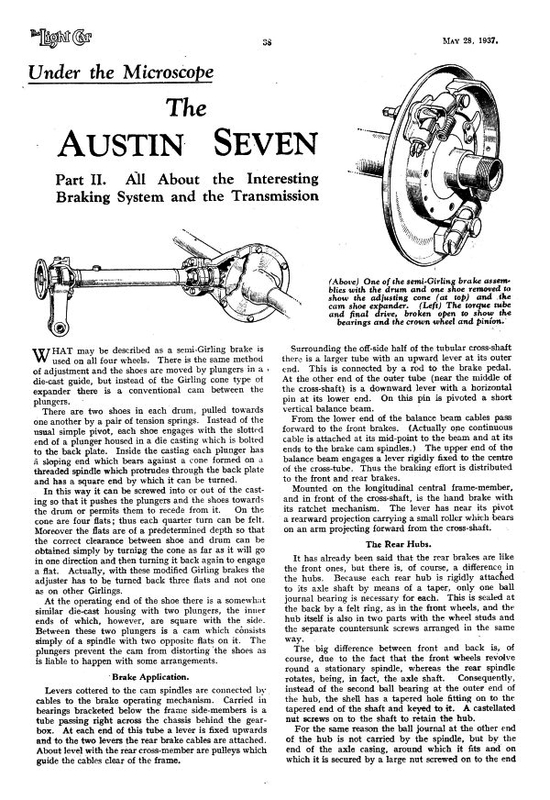 The Austin Seven - Part 4 The Power Unit. From The Light Car, June 11 1937. Other articles covering this topic can be found in 'Austin Seven Journal' ; 'Technical Advice' and 'Technical Articles'.